The Citi® / AAdvantage® Executive World Elite™ MasterCard® now offers 50,000 bonus American Airlines after spending $5,000 in the first three months. Admirals Club Membership: Full access to 90+ affiliated clubs and free guest access for two people each time you go. Plus authorized users get lounge access. $100 Statement Credit: Receive one statement credit per account, every five years up to $100, for either the Global Entry or the TSA Pre✓® application fee. The Citi® / AAdvantage® Executive World Elite™ MasterCard® comes with 50,000 bonus American Airlines miles and Admirals Club lounge membership. American Airlines miles are redeemed according to the American Airlines award chart for flights on American Airlines or one of its 22 partners. The value you get depends on the redemption, but I would personally value the miles conservatively at 1.6 cents each. The Citi® / AAdvantage® Executive World Elite™ MasterCard® grants the cardholder Admirals Club membership.That means the primary cardholder can enter not just the 50 American Airlines lounges, but also the 40 partners lounges that are affiliated with the Admirals Club including Alaska Airlines and Qantas lounges no matter what airline he’s flying. The primary cardholder can bring in either his immediate family or any two guests for free on each visit. Primary cardholders can add authorized users to their account, which grants the authorized user lounge access to the 50 American Airlines lounges (though not the 40 partner lounges) even when the primary cardholder is not present. Authorized users even get guest privileges to bring in either their immediate family or any two guests for free on each visit. Check out the list of American Airlines lounges here. American Airlines lounges have greatly improved in the last year. You can now get free soup, fruit, cheese and crackers, crudités, desserts, alcohol, and soft drinks. In Phoenix recently, I made a meal of chicken noodle soup, tomato bisque, cheddar cheese and crackers, celery and hummus, and brownie bites. I saved $10 by not getting Chinese food in the terminal. You can also get free wifi and a comfortable chair. My favorite American Airlines lounge is at Honolulu International Airport. It is shared with Japan Airlines and Air New Zealand Business Class passengers, so its offerings are slightly upgraded. You also can’t beat its garden views. Here is a review of a typical American Airlines lounge in Miami. All these benefits are available for you and up to eight companions on the same reservation. The Citi® / AAdvantage® Executive World Elite™ MasterCard® offers 2x miles on American Airlines purchases and 1x on everything else. Frankly the return to spending isn’t that great. The SPG cards would rack up American Airlines miles faster. If your January to December statements show $40,000 in cumulative spending in a calendar year, you get 10,000 American Airlines elite qualifying miles. If those bump you up to the next status level, those could be worth hundreds or thousands of dollars in extra benefits. The Citi® / AAdvantage® Executive World Elite™ MasterCard® has no foreign transaction fees. It also has chip technology for global acceptance, so it’s a great card for overseas travel. The card has a $450 annual fee. If you plan to use the lounge benefits extensively, that’s reasonable; in fact, it’s cheaper than getting a new membership normally. If not, don’t get the card. The Citi® / AAdvantage® Executive World Elite™ MasterCard® offers a big sign up bonus, amazing lounge access, a $100 statement credit, and an enhanced airport experience and free checked bag when flying American Airlines. For many people, it is well worth the $450 annual fee. Next articleWill united.com Price Awards Correctly Next Week And Offer Us All the Choices? 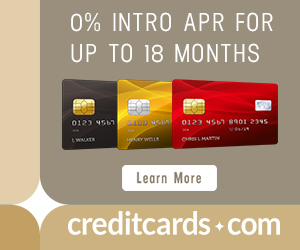 Scott, I am interested in this card and 75,000 AA bonus miles sound great. How long will this offer be around, any idea? I am abroad for the next 3 months. No idea. The normal offer that’s been around for a while is for 60k. I saw the same earlier today and decided I won’t go for this one. Sure, 75,000 AA is absolutely valuable (and I’d go for it if I have something planned), but I have the exact same reservations as you! 1) $450 still a sunk costs (I don’t use admiral club lounges as much) but this is the most minor point of the 3, IMHO. 2) yes, the spend! ouch. Yes, there are ways to meet spends, but still. I don’t think I will divert all my spend to this card. 3) a risk without the targeted email, given the above requirements. So for me, I’m not going for it unless the spend is lower or the offer is higher. I applied for the card and was approved after a phone call (they wanted to shift some credit limit from other existing Citi cards). I have had the Citi Platinum Visa and Amex for exactly one year so that didn’t affect eligibility. 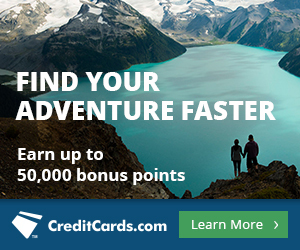 CSR confirmed 75k bonus points and $100 AA statement credit! I’m surprised you’re looking at the Citi Thank You premier at this point. I’ve had the card for almost 2 years now, but it will probably get upgraded, downgraded, or cancelled once I use up my flight points. The “enhancements” of the late summer/early fall took away the major money saving benefits the card has to offer. If I were you, I’d be looking pretty hard at the prestige – way better benefits, it would pay for itself in no time. Would I be able to qualify if I have the Citi AA platinum card? I know Citi has tightened up regarding churning AA cards, but since this is an executive card does it make a different? My understanding is that they are different products, and you can get both, YMMV.